Though the path of Hurricane Florence seems ever-changing and it’s intensity fluctuating (actually decreasing greatly overnight), it’s best to always be prepared for how our area of the Greenbrier Valley could be impacted. For West Virginians and those that may be traveling to or through West Virginia the following information and tips could be very helpful. 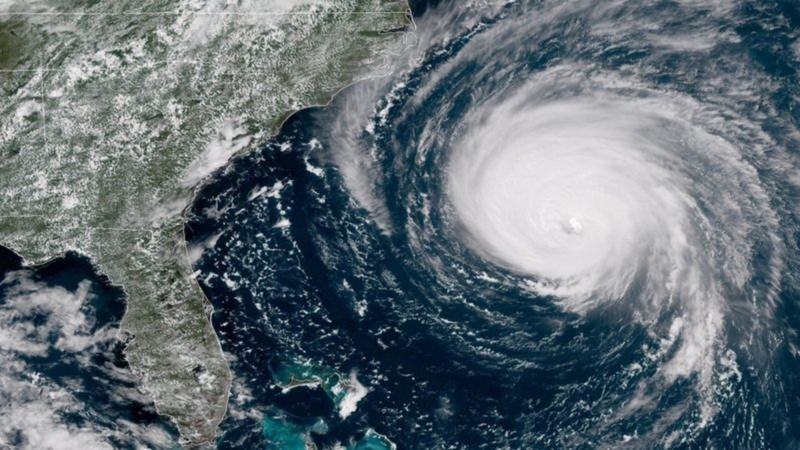 West Virginia State Parks is offering a 55% discount on available lodge parks, cabins and campsites for those fleeing Hurricane Florence. The offer is available through Tuesday, Sept. 18. Leashed pets are allowed in campgrounds. Pet-friendly cabins and lodge rooms available, but are subject to availability. Book online at wvstateparks.com or call 1-833-WV-PARKS. If you need additional help finding lodging, please feel free to call 1-800-CALL-WVA for assistance. Click here to see more lodging options, including hotels, bed & breakfasts, and more across the state. Welcome Centers across the state are staffed to accommodate travel questions and needs. Governor Jim Justice and the WV Department of Transportation has suspended road work on I-77 NB. However, traffic may persist so drivers are urged to explore alternate routes. Take Exit 9 in Princeton; follow US 460 East to US 219 North. Take US 219 North to I-64 West. Follow I-64 West to I-77 North. In Wytheville, VA, take I-81 North to exit 118 B in Christiansburg. Take US 460 West toward West Virginia. Take US 219 North to I-64 West. Follow I-64 West to I-77 North. In Wytheville, VA, take I-81 North to Lexington. In Lexington, take I-64 West into West Virginia. Follow I-64 West to I-77 North. Gather needed supplies for at least three days. Include food and water sufficient for at least three days, medications, a flashlight, batteries, cash, and first aid supplies. Don’t forget the needs of pets. Bring loose, lightweight objects inside that take flight in high winds (e.g., patio furniture, garbage cans); anchor objects that would be unsafe to bring inside (e.g., propane tanks); and trim or remove trees close enough to fall on the building. Charge your cell phones and other devices now so you will have a full battery in case you lose power. West Virginia State Fair Grounds has announced availability as an evacuation site for a limited number of horses and campers in its path! Please call 304-645-1090.